HMT undertook financial due diligence for YFM Equity Partners (“YFM”) on their investment in augmented reality specialist Ncam. 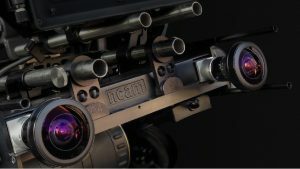 Ncam was founded in 2012 by Nic Hatch (CEO), Sam Boivin (CTO) and Brice Michoud (Senior R&D Engineer) to develop a unique augmented reality solution which combines patented camera tracking hardware that fuses data from multiple sources with proprietary software to adapt the application to its target markets. Ncam’s award winning products are utilised globally across Broadcast, Film and Episodic TV production. Customers and users include Fantastic Beasts (Warner Bros), UEFA Champions League (BT Sport), NFC Championship Game (Fox Sports), Game of Thrones Season 8 (HBO), Monday Night Football (ESPN), Super Bowl XLVIII (Fox Sports), Avengers: Age of Ultron (Marvel), Daytona (Fox Sports), and Jupiter Ascending (Warner Bros). In recent years Ncam has been awarded an Emmy Award for Outstanding Achievement in Engineering Development, Experience & Technology Awards for Best use of Augmented Reality with Ford Motor Company and a Queen’s Award for Innovation for their work in augmented reality for film and television. YFM’s investment will be used to support the development of new products, invest in the team, and help the business extend its reach into new territories, especially the USA where a new office opening is planned for 2018. Charlie Robinson from YFM joins Ncam’s board.